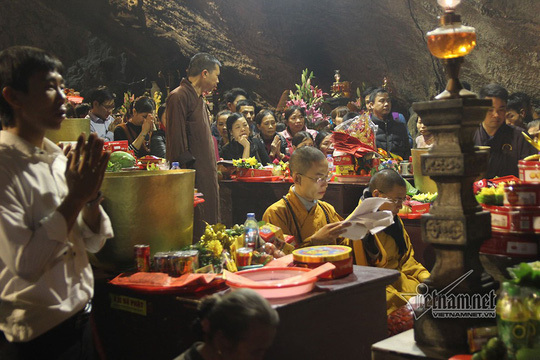 Thousands of pilgrims and tourists are flocking to visit Huong (Perfume) Pagoda after the Lunar New Year or Tet Holiday, wishing for peace, good weather, happiness and prosperity. 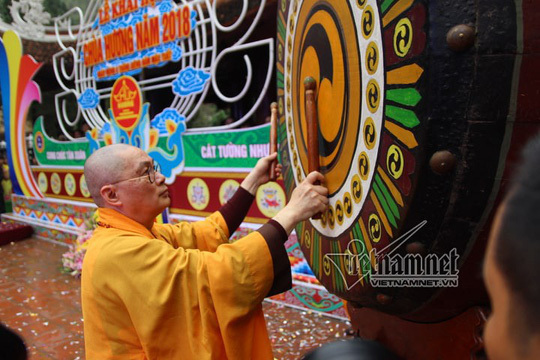 Huong Pagoda Festival which will last for three months was opened on the morning of February 21. Since the midnight before the opening day, all of boats on Yen Stream have had to work at full capacity to transport visitors to the pagoda. 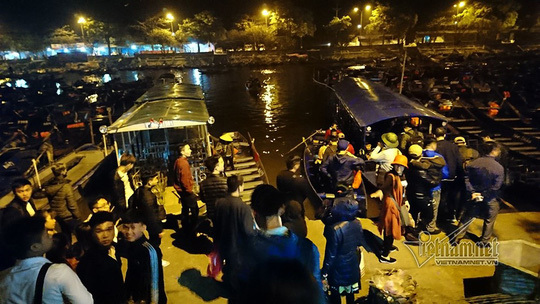 Lan Huong from Hanoi’s Long Bien District said that she went on boat at 2:00 am to avoid the congestion. 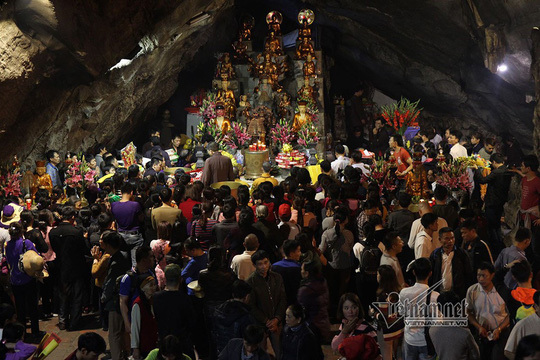 At 5:00 am on February 21, hundreds of people were at Huong Tich Cave for offering incense. 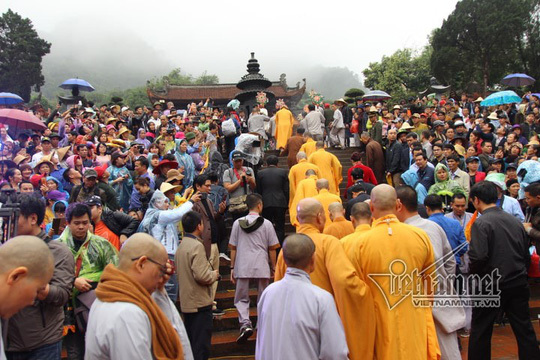 Many people felt quite tired after a long trip to the pagoda in the cold and rainy weather. Nguyen Van Linh from the northern province of Hung Yen said that he has come to the pagoda at midnight every year for the past eight years. 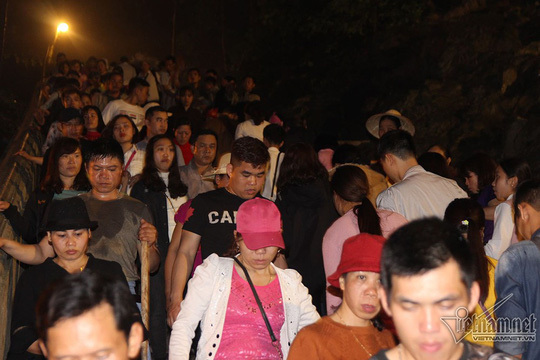 According to Linh, this year, the management of Huong Pagoda Festival’s activities is tightened controlled. Only non-motorised boats are allowed to operate on Yen Stream to avoid making noise. The management board of the festival said that the pagoda attracted around 130,000 visitors during Tet Holiday and the figure is expected to rise sharply in the coming days. Last year, the festival attracted over 1,3 million visitors including some 7,800 foreign tourists. 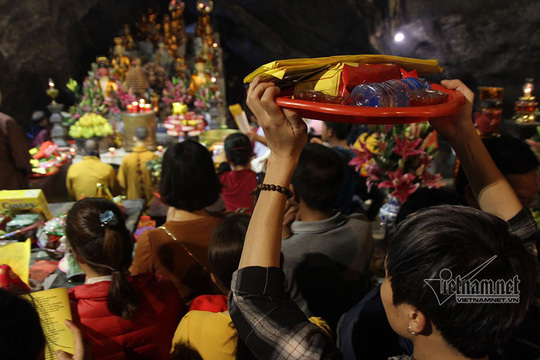 The festival is expected to welcome more visitors this year following the Prime Minister’s recent approval to recognise the Huong Son relic site as a national special relic.